DISSOLVE the Ingonyama Trust and lose power back to the IFP in KZN. This is the warning from University of Western Cape Professor Bheki Mngomezulu and KZN political analyst Thabani Khumalo to the ANC. Their warning comes after President Cyril Ramaphosa and his NEC maintained their confusing position on Kgalema Motlanthe’s recommendations to dissolve the Zulu king’s trust. 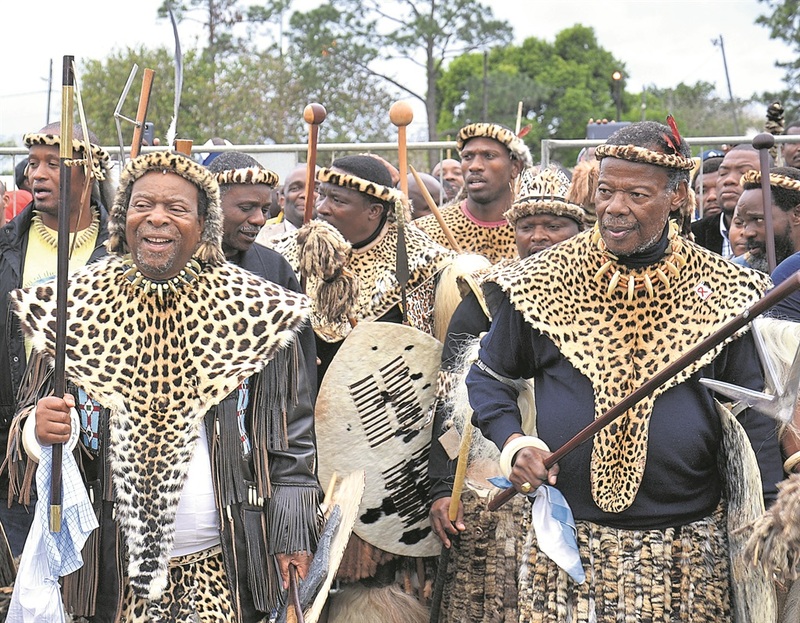 The analysts said if the ANC’s national leadership ignored the power and influence of the Zulu king, it would wake up in the opposition benches after next year’s election. Mngomezulu said since former president Motlanthe handed over the report to parliament, Ramaphosa or cabinet had not taken a clear decision on whether it would be implemented or not. “If the ANC government chooses to take away the king’s land it must kiss the province goodbye. “KZN politics is very much aligned to ethnicity, so many Zulus will side with the king and vote for the IFP. “Its leader, Mangosuthu Buthelezi, has been fighting for the king’s powers since 1994,” said Mngomezulu. Khumalo agreed, saying there was no way the ANC would retain the province if Ramaphosa didn’t perform magic. He said Ramaphosa should postpone the provincial conference until after the election next year and appoint a team of NEC members to run the province. He said the current situation favours the IFP, which would capitalise and campaign on the land issue, adding this would also push traditional leaders who are ANC members away from the party. “The ANC must be reminded that it won the province from the IFP by convincing rural voters who were mainly IFP supporters. The king was no longer happy with the IFP’s treatment, especially when the late Lionel Mtshali was premier. “So if the king is no longer happy under the ANC, the IFP will capitalise on that as the ANC did in 2004,” said Khumalo.